While there are probably plenty of weird things buried in Central Park, officially and... discreetly, dinosaurs are not one of those things. 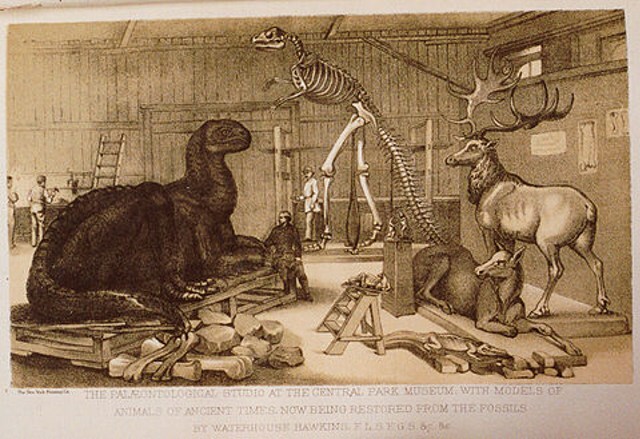 This week, Ephemeral NY reported that "in 1868, Andrew Green, one of the city planners in charge of Central Park, invited [artist Benjamin Waterhouse] Hawkins to build dinosaur models in New York." A team of German and Mexican archaeologists have discovered what they believe is the largest dinosaur cemetery in the world in the Mexican state of Coahuila, Der Spiegel reports. Researchers from the University of Heidelberg, the State Museum of Natural History in Karlsruhe and the Desert Museum in Saltillo, Mexico, have found fossils of 14 animals on a small piece of land 50 by 200 meters. They uncovered the skeletons and bones of 15 more animals a few kilometers away. “I know no other place where so many dinosaurs have been found on such a small area,” said Wolfgang Stinnesbeck from the University of Heidelberg. The area, where the fossils have been unearthed, is inhospitable. But what now is a desert approximately 70 million years ago was a blossoming piece of land. “There was a huge delta here and several rivers were flowing into the Gulf of Mexico,” said paleontologist Eberhard Frey from the University of Heidelberg. “The ecosystem here was vibrant. Apart from dinosaur bones we have found four species of turtles, remains of a small crocodile and teeth of early mammals,” he added. “Our findings are very promising, large-scale excavation here would be worthwhile,” Frey stressed. For instance, researchers have found Theropod footprints not far from the dig site. Some of the largest predators in the Jurassic and Cretaceous periods were among the Theropod dinosaurs. He wasn't fooled by the dinosaur on Ellen's show, but these big guys sure did impress! Mongolia was a fossil poacher’s paradise until Oyungerel Tsedevdamba stepped in. Canadian and U.S. paleontologists have announced the discovery of a new genus and species of ankylosaurid dinosaur, Ziapelta sanjuanensis. Ankylosauridae (ankylosaurs, ankylosaurids) is a family of plant-eating dinosaurs with armored plates on their back. Ankylosaurs lived in what is now western North America, Europe and East Asia, between 122 and 66 million years ago. They were not only armored but were also heavily armed – they often had shoulder spikes and large bony clubs at the end of their tails. The newly-discovered ankylosaur, named Ziapelta sanjuanensis, roamed what is today New Mexico during the so-called Kirtlandian land-vertebrate faunal age, 74.8 to 72.8 million years ago. Its fossilized skull and bones were uncovered from the Kirtland Formation at Hunter Wash, San Juan Basin, in northwestern New Mexico in 2011. JANESVILLE—Bob the dinosaur has returned home. The concrete creature that Alfred Fetting made to decorate his yard went missing June 17. A man called him recently and said the dinosaur had been in the man's backyard all this time. The man—who asked to remain anonymous—said some friends of his 17-year-old daughter took it “to please her, or whatever,” Fetting said Saturday. 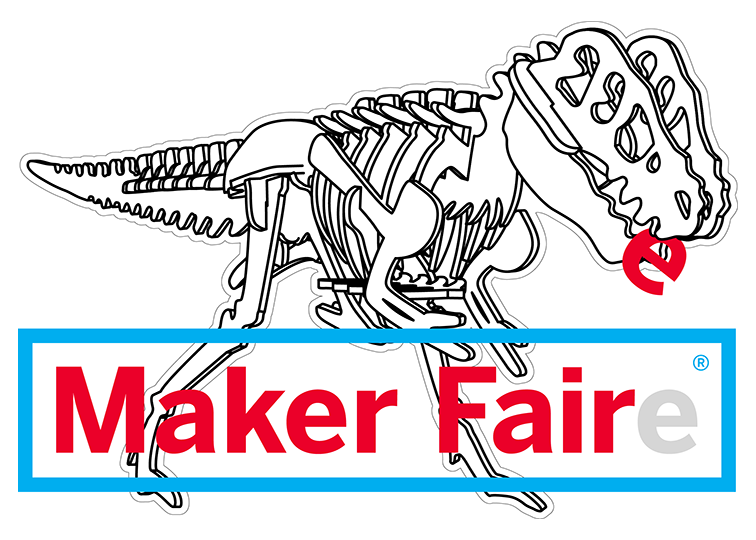 We'll be at Maker Faire in New York this weekend. Come see us at Bust's Craftacular at the Hall of Science in Queens. Africa also had fewer ideal areas where sediment could quickly bury a creature and begin the fossilization process. Politics and geology, "those two things together account for why we don't know so much about continental Africa as we do about other parts of the world," O'Connor said. She is millions of years old, and so a few months of waiting is no big deal. In a crate for some time now, Misty, the University of Copenhagen's dinosaur, is soon to be exhibited in the Natural History Museum of Denmark. 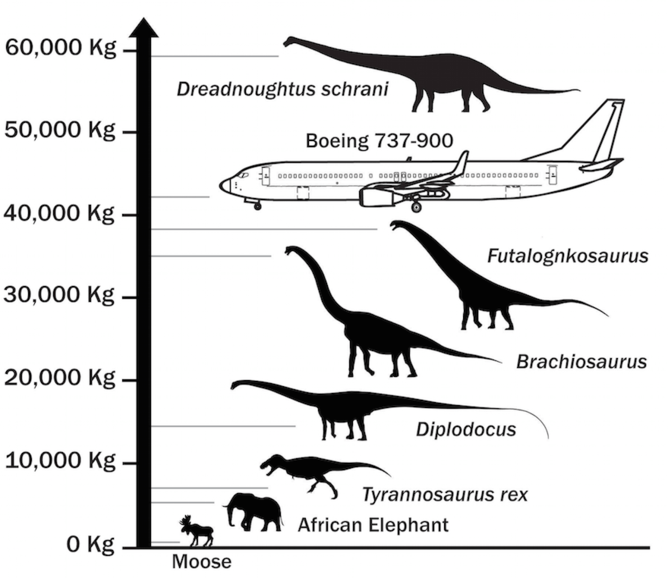 The Diplodocus, a North American species, was among the biggest dinosaurs ever to have existed. Known by their long necks and tails from cartoons and films, the herbivores existed 150 million years ago. Our reporter was at the grand opening of the crate, together with a group of other journalists, museum staff, and their kids who took the day off to take a quick lesson in palaeontology. Mmmm, I think I'll eat a shark for dinner tonight. The sail-backed predator Spinosaurus is not only the biggest meat-eating dinosaur known, larger than T. rex. According to new research, it may also be the earliest known dinosaur to swim. A new study in Science says that Spinosaurus probably hunted in rivers with its sail rising from the water like the dorsal fin of the great white shark. "Every time I see the sail on Spinosaurus, I'm going to hear the Jaws theme in my head," says lead study author Nizar Ibrahim, a vertebrate paleontologist at the University of Chicago. The first fossils of Spinosaurus aegyptiacus were discovered more than a century ago by German paleontologist Ernst Stromer von Reichenbach in the Egyptian Sahara. But all of Stromer's fossils were destroyed in World War II during the 1944 Allied bombing of Munich, leaving much uncertain about this carnivore. In 2008, however, 97-million-year-old fossils appeared across the Sahara, in Morocco. Those fossils are now, at long last, revealing Spinosaurus. The fossils suggest an adult Spinosaurus would be more than 49 feet long head to tail, more than 9 feet longer than the largest known Tyrannosaurus rex. "It was the largest predatory dinosaur to roam the Earth that we know of," Ibrahim says. T-rex moves at 18mph? RUN! Got to ride the T-Rex this weekend! 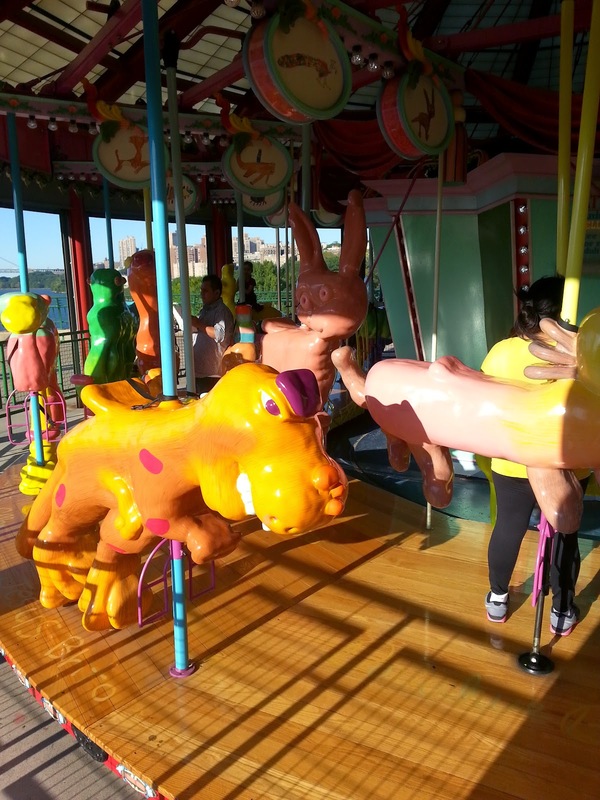 After its restoration overhaul in 2009, the Totally Kid Carousel at Riverbank State Park is still rolling with the same 36 critters it debuted with in 1997. 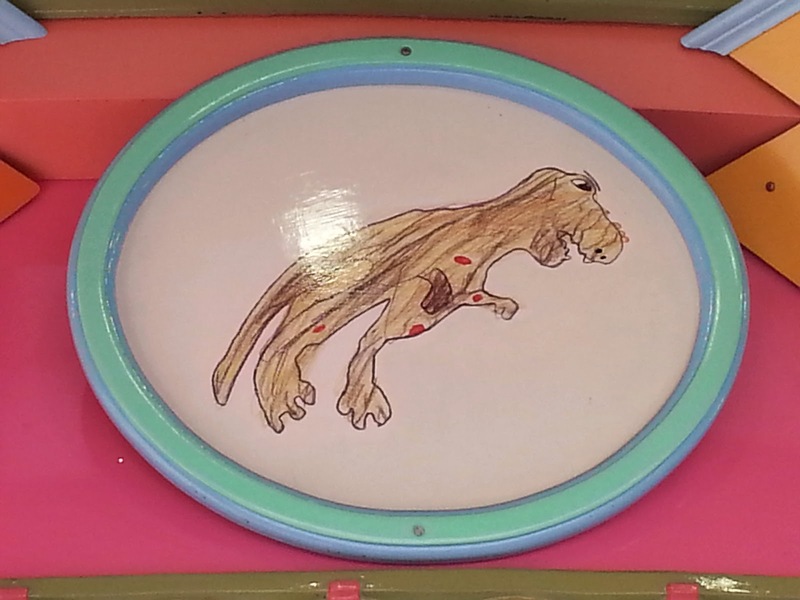 The menagerie was created by artist Milo Mottola based on imaginative drawings by local kids; the original sketches are posted above each bobbing animal for your brood to admire before hopping on the refurbished merry-go-round. Was checking my Plesiosaur listing on ebay and found this. Here it is on the bay of e.
Some species of dinosaur were astoundingly enormous compared to anything alive on land today, which becomes obvious the moment you stand in the shadow of their skeletons in a museum. This remains one reason why we remain fascinated with these long-extinct beasts. The colossal size of the long-necked species like Brachiosaurus stretches the limits of our imaginations, and exhausts our vocabulary. And nothing quite gets the hyperbole flowing like the discovery of a gigantic new dinosaur. 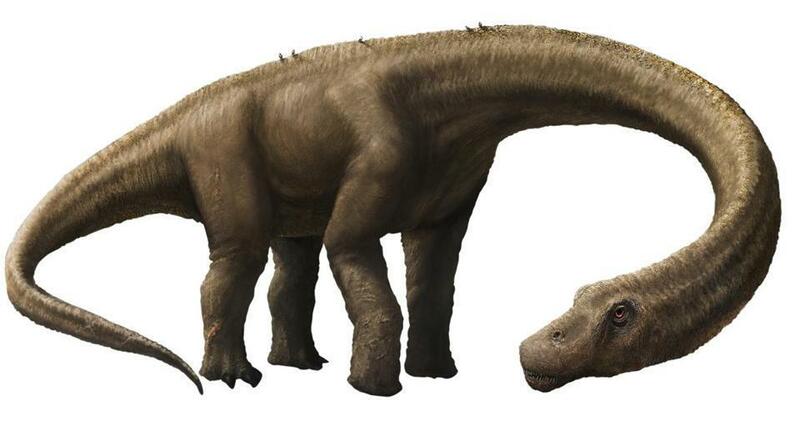 So, meet Dreadnoughtus, the 65-ton, 26-metre long plant-eating behemoth from the latest Cretaceous – 84-66 million years ago – found in Argentina. It is named after the World War I British battleship Dreadnought. This discovery comes only a few months after another team of Argentine researchers reported a slightly older, and apparently even larger, long-necked dinosaur. That discovery dominated the science news for days, to the point where elderly relatives, who never took much of an interest in my career in science, were phoning me up to ask how something so huge could have possibly existed. Although it may stretch logic, these animals were real. They were living, breathing, evolving organisms that, at least to me, are more fantastic than anything humans have created in legends, myths or even deliberate hoaxes. Just finished making lots of all-in-one kits for you. SALT LAKE CITY — Paleontologists are excavating the first dinosaur ever discovered in Utah — 155 years after a geologist discovered the skeleton of the mammoth plant-eater during an Army engineering survey of the West. When geologist J.S. Newberry found the bones of the Dystrophaeus (dy-stroh-FAY-uhs) on the confluence of the Colorado and Green Rivers in 1859, he could only dig out a few and told others later there were more bones to be removed. But that never happened until now. The Museum of Moab obtained a grant to pay for the work. Museum executive director John Foster says the bones found above a canyon south of Moab are the oldest sauropod dinosaur bones in North America. Paleontologists say studying the bones will help them understand the origins of sauropods on the continent.